The Washington Redskins football team completed a 4-12 season in 2009 (four wins, twelve losses). The coach was fired, and a "rebuilding" process was initiated. A new coach was hired. This individual has a "system", a way of doing things (west coast offense or spread offense or zone blocking scheme ... 4-3 defense or 3-4 defense, cover-2 or man-to-man coverage). The team will draft new players in April, players that are suited for this "system". In 2-3 years, if things work out, the rebuilding process will result in a successful team, causing the coaches and players to be rewarded. If things don't work out, a new rebuilding process will be initiated. In sports, this is an accepted process. The process gives teams and fans hope. In merchandising, this is an accepted process. 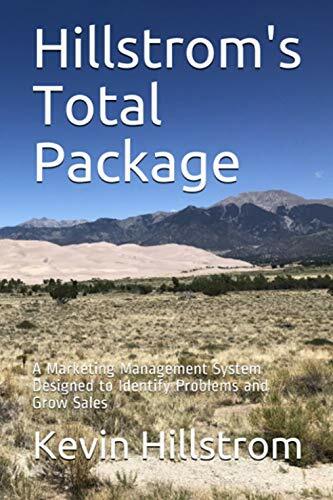 Every company has a merchandising "system", and when one system doesn't work, the Chief Merchandising Officer is fired, and a new "system" is put in place. In catalog marketing, this process is fundamentally broken. The vast majority of catalog marketers employ just one system. The reason the company exists is to use catalog marketing to sell merchandise. Online micro-channels (paid search, e-mail marketing, affiliate marketing, banner ads) are there to support the catalog. Orders generated from these micro-channels are matched back to the customers who received a catalog. If the customer received a catalog, the catalog gets credit for the order. Customer analysis is designed to illustrate how the catalog is the "sun" in the marketing solar system, with online micro-channels representing planets that orbit the sun. The catalog vendor ecosystem can be perceived as important as the future viability of the business. As a result, co-ops, matchbacks, paper reps, printer relationships, etc. are given as much weight as internal co-worker relationships. Almost everybody is running the same catalog marketing "system". And when somebody attempts to run a new system (i.e. Bloomingdales dropping their catalog), many participants in the existing catalog marketing system mock those who decide to run a new system. In the next two weeks, we're going to talk about rebuilding through people. Chances are, you are strongly considering "rebuilding" your catalog marketing team. And, based on what I'm hearing, you believe that a new catalog marketing leader needs to be "highly analytical". Your new "analytical leader" has "a system". If you don't understand the system employed by this individual, you may make a hiring mistake. In preparation for our exploration of "catalog marketing systems", please take this quiz (click here for the quiz), as if you were interviewing for your open position. The outcome of this quiz will determine what your needs are, and will guide you as you begin to rebuild your catalog marketing department. I thought the metaphor would be better than "fire everybody and start over"!